Employees who feel workplace related anxiety or depression will seek new opportunities if they are not able to overcome these feelings. Also, employees may face difficulty concentrating or even completing simple tasks if they are suffering from mental health issues. Help your employees achieve and maintain optimal mental health so they can be their happiest, best selves. There are many methods for achieving mental health wellness including exercise, yoga, meditation, and therapy to mention a few. 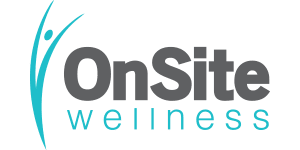 Onsite Wellness offers online workshops which are a great option for businesses to offer as a part of their corporate mental wellness programs. Workshops are self-study modules that can be completed anytime, right from home, for free. There are nearly 50 different workshops that cover issues relating to mental health, emotional health, and physical health. Check out the list below of the topics right at your fingertips! Contact OnSite Wellness Support at 616-309-2773. Not a part of an OSW Wellness Program? Contact us to get a demo of the OnSite OnLine portal experience at 616-309-2775.